Asking students to share their opinion is one way of giving students ownership of their learning. This feeling of empowerment is an important part of a progressive education. In December and May of each school year, we have all of our students complete a survey developed by Panorama Education for each of their classes. The questions on this survey measure student perceptions of teaching and learning. Teachers receive a comprehensive online report which allows them to examine the results from many perspectives. They can also track their progress in various areas over the year and from year to year. In recent weeks, our Centre for Teaching and Learning staff have helped our staff reflect on their results and use this process to develop goals for the second half of the year. 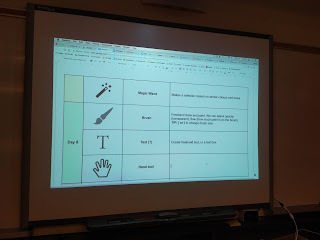 This process benefits students as it allows teachers to alter approaches so that all students are engaged in learning. We can also view these results from a whole-school perspective, which helps us to tweak our annual school goals. Doing so, has enabled us to adjust some of our upcoming Wednesday PD sessions for teachers and provide them with customized learning opportunities relevant to their survey results. Customized learning is not only good for students, it also benefits teachers. Using digital tools to communicate is an important part of a 21st Century education. 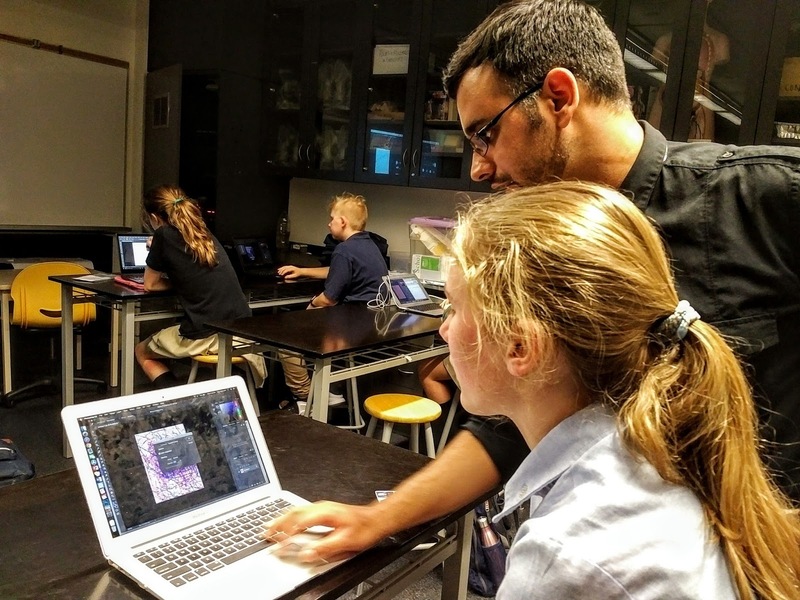 At Greenwood, one of the ways students learn this type of communication is through participation in our digital arts classes. The course is designed so students can work at an individual pace. However, when they need expert advice, the teacher is able to provide timely one-on-one support. 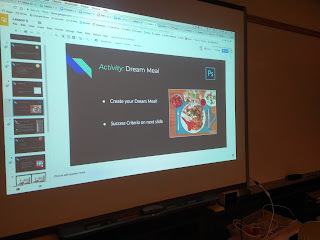 Before submitting their completed meal, students use the success criteria for this assignment to self-assess or get feedback from a peer and complete any necessary refinements. By connecting technology with the process of learning, students engage in a meaningful design experience. provide conversational coaching to teachers who have been at Greenwood for 4+ years. 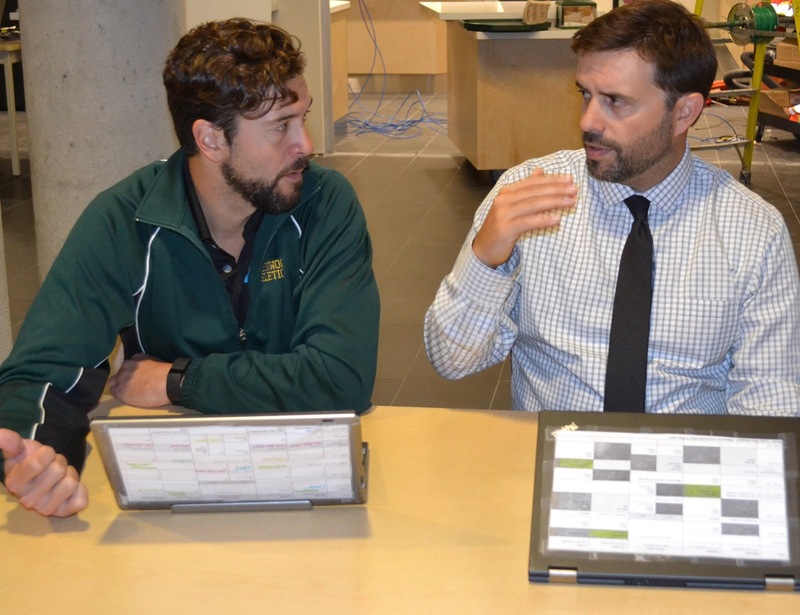 How does Greenwood stay on the leading edge of customized learning? Ongoing professional development is a big piece of the puzzle. Expert teachers Tony Costa and Amanda Lester work with experienced Greenwood teachers to ensure their continued growth. What is the Expert Teacher Program? 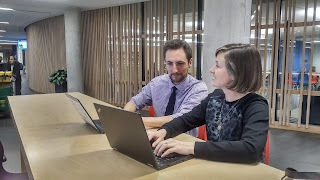 Working out of the Greenwood Centre for Teaching and Learning, Tony and Amanda - both accomplished Greenwood teachers - work with colleagues who have been at the school for four or more years. In addition to providing conversational coaching to these teachers, Tony and Amanda are a professional development resource for all teachers. They also meet weekly with Mary Gauthier, Executive Director of the Greenwood Centre for Teaching and Learning, which supports their growth as expert teachers. Why become an expert teacher? Amanda and Tony observe teachers in the classroom several times throughout the year. At the end of the year, teachers will reflect on their growth and set goals accordingly for next year. Our expert teachers act as a resource for all teachers, no matter how long they’ve been at Greenwood. If they’re looking for an outside perspective on a lesson or wondering about a new classroom management technique, Tony and Amanda are there to help. They also contribute to Greenwood’s Wednesday morning professional development program - for example, they most recently ran a session on relational teaching. In delivering these PD sessions, they consistently model effective teaching practices.